I saw this really interesting post on the Scobleizer blog today. What question would you ask Tim Berners Lee? If you hadn’t noticed – ComputerWeekly.com has had a major facelift. Whenever websites redesign it can be confusing for regular users to find the information they are after or to understand why we have made these changes. If you want to understand the changes without taking the time to browse through the site then take a look at our video, which is just two minutes and explains all the major changes to ComputerWeekly.com. ComputerWeekly.com is evolving. Yes, as you may have already noticed, we’ve had a makeover, but this redesign is more than just a lick of paint. ComputerWeekly.com has four excellent pieces of analysis on HMRC’s loss of 25 million personal data records on a CD. It is a worrying development for individuals, like myself, who have data stored by HMRC because they claim child tax credits. Do I need to change bank account, because the data could get into the wrong hands allowing criminals to defraud me? Hi I’m James Garner and I’m the web editor on ComputerWeekly.com. 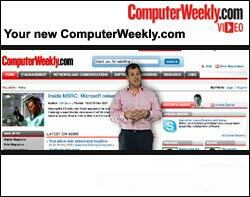 I joined Computer Weekly in April 2007 and have been focused on redesigning the website since then. It’s been a long seven-and-a-half months, but sometime over the next couple of days – as long as nothing goes seriously wrong – we will relaunch the site. I am really proud of the work we have done to improve the site and I hope you enjoy it. All feedback is welcome.